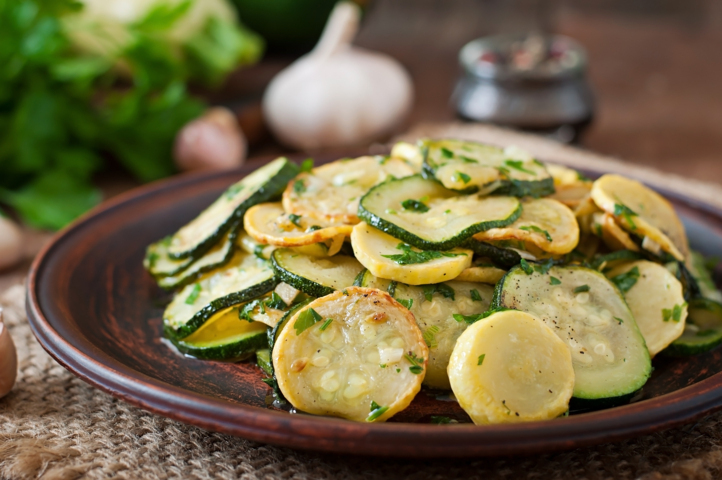 Place squash into a skillet and add water. Cook squash over medium heat until tender, 5 to 10 minutes. Drain any excess water from skillet. Stir butter, parsley, salt, and pepper into squash; cook, stirring occasionally, until heated through, about 5 minutes.